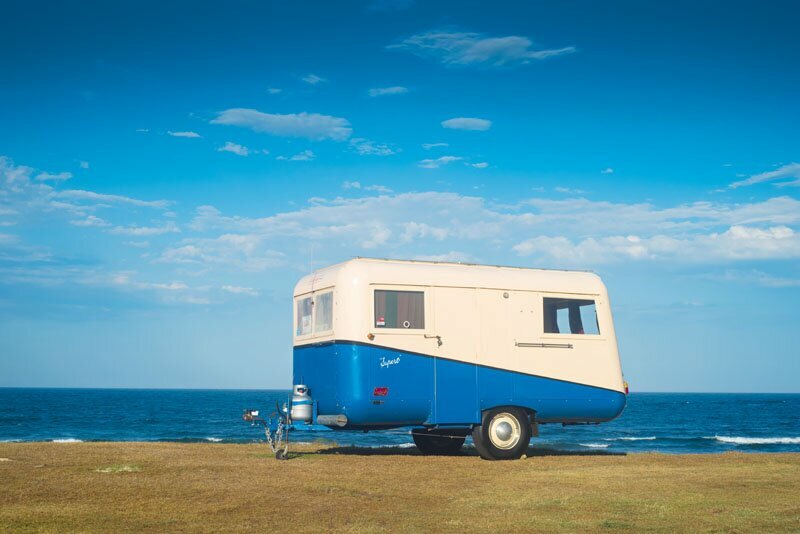 As early as 1971, the Sydney Caravan Camping Holiday Supershow has been putting on displays of vintage caravans so visitors can reminisce and wonder about how things were done in times past. At that show, the organisers gathered together an American covered wagon, a restored gypsy caravan, the very first Millard and a ‘30-year-old Chesney’ (a terrific display, considering Chesney Caravans began in 1960). It was almost the beginning of a dedicated caravan museum, if you believe the news reports. This year, we’re continuing that fine tradition, but on a grand scale. 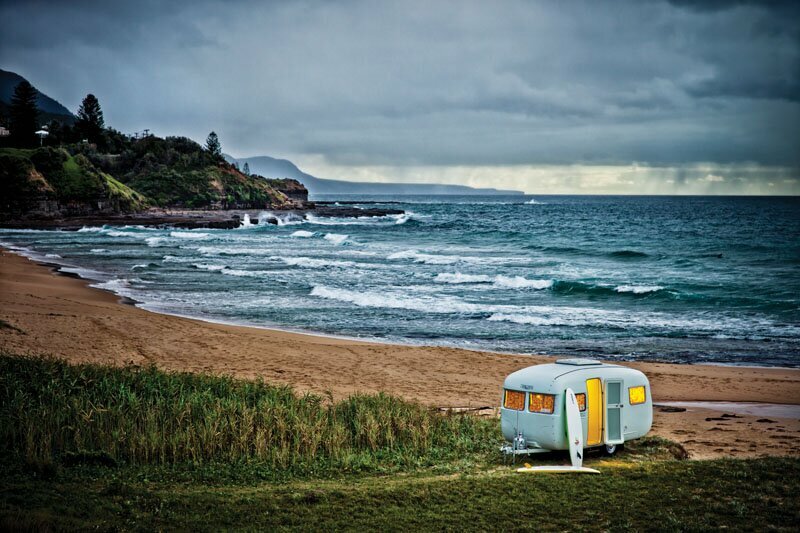 As part of the 50th year celebrations we’ve curated a showcase of Australian caravan history, as told by a collection of caravans, motorhomes and camping gear, with a particular focus on that built in New South Wales. We really hope you can come and join us there as we tell this amazing story – maybe you can even help us fill in some blanks. To whet your appetite, here’s just a sample of what we’ll have on display and a little bit of its significance to Aussie camping. The show runs from Tuesday April 24 to Sunday April 29 at Rosehill Racecourse. Buy your tickets online and save 10%! 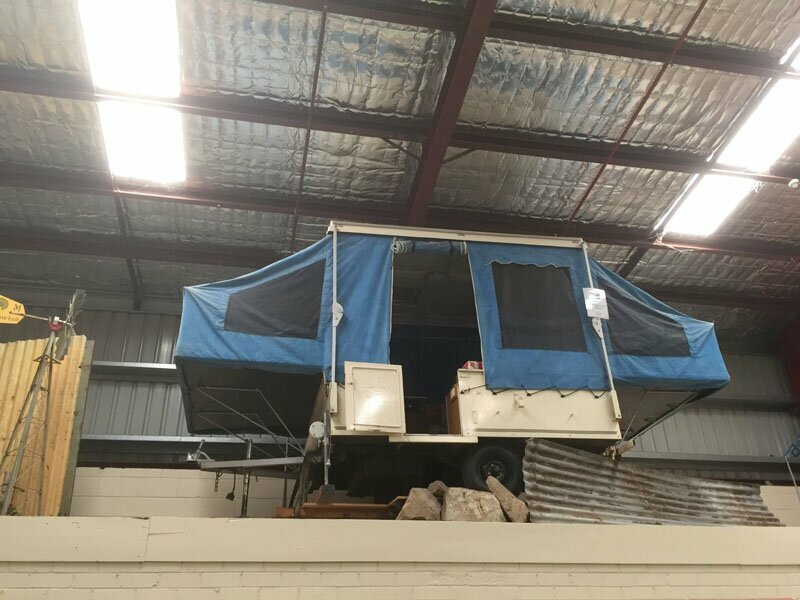 It’s hard to know, but R.J. Rankin, one of New South Wales’ earliest caravan builders, may have influenced the Eicke & Provis Folding Flyproof Caravans. A patent for the design was applied for in 1930, two years after Rankin started Carapark. Described at least once as a ‘trundling, fly-screen-clad meat-safe on wheels’, the holiday trailer is very typical of Australia’s very first caravans. Early brochures claim the caravan can be set up in as little as five minutes and that only a perfect holiday can be had in a caravan, something we tend to agree with. Designed and built by a former solicitor near Adelaide in South Australia, this version is a second-generation model, still with the timber spoked wheels, very basic accomodations and ‘easy’ set-up. Carapark, which is one of Australia’s earliest caravan brands, played a significant part in the development of modern caravanning as we know it today. 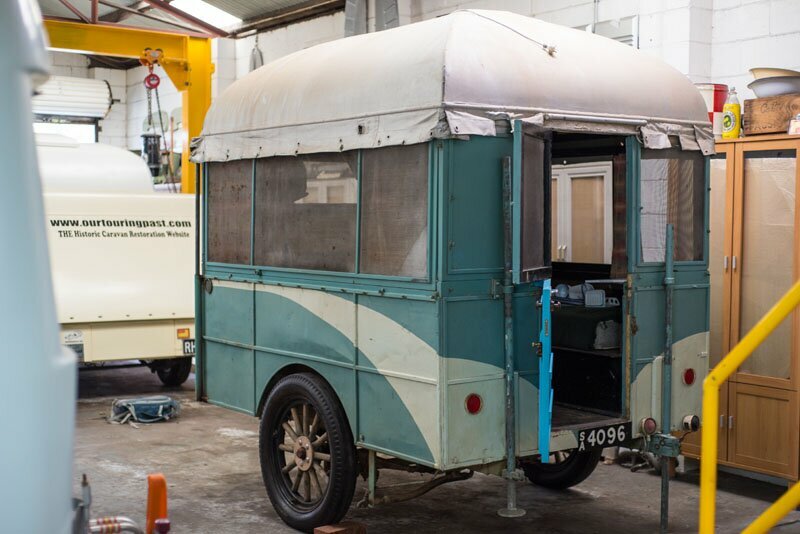 Starting in a factory in Newtown, on the outskirts of Sydney, Carapark’s founder, R.J. Rankin had a dream that every car would be fitted with a caravan. Always at the leading edge of comfort, even in the 1920s (the company could trace its history back to 1928), its vans were fitted with ice-boxes, water tanks and electric lighting. Carapark’s most iconic model, colloqulally known as ‘the toaster’ was introduced in 1939, with a distinct square shape. As well as building for holiday makers, Carapark built models for the Snowy River Scheme, food vendors, mine offices and mobile army recruitment offices. We’ll have a 1947 Carapark Supurb on display, an all steel beauty owned by Richard Potter of ourtouringpast.com.au. It’s one of the most intact examples of an early Carapark in existence with all original features – even that colour scheme. The 1950s was significant as the decade we were introduced to Viscount, Sunliner and Coronet. It was also a time when caravans and caravan holidays were in boom, thanks to the rise of a middle-class in post-war Australia. Thousands of caravans were home-built using simple materials from designs drawn up from the imagination or taken from caravanning magazines and guides of the time. 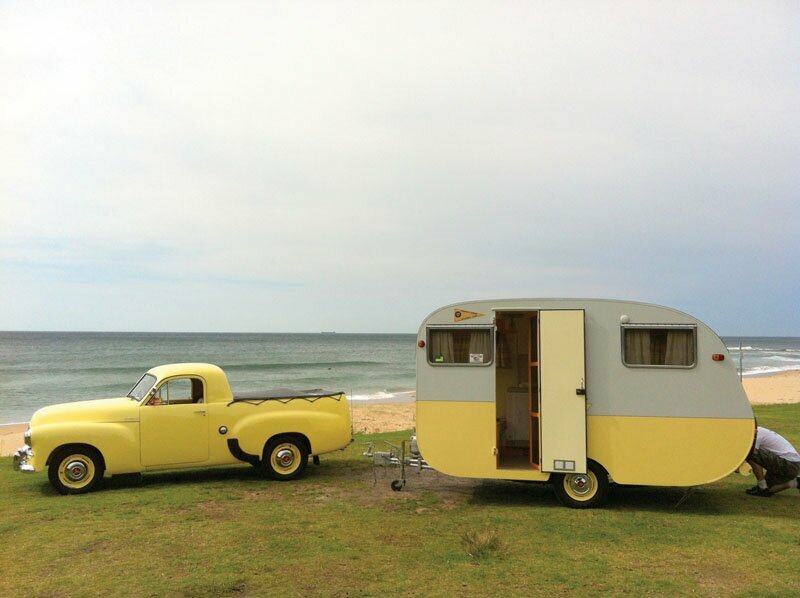 Australia’s first lightweight fibreglass van, and arguably one of our most recognisable, the Sunliner caravans were the vision of Bert Tickner and built in Forster, New South Wales, which back in the late 50s and 60s, was an eight-hour drive north of Sydney. Much like the pioneering vision of R.J. Rankin of Carapark, Tickner wanted to build a caravan that any car could tow, even a Volkswagen Beetle. A man passionate about the decentralisation of industry, he tried hard to overcome the difficulties of running a manufacturing operation so far from a major centre, even employing the local bakery’s oven at nights to temper the Perspex windows. Early Sunliners are significant for the level of innovation they brought to caravans of the time. Tickner fitted them with independent suspension, fibreglass cabinets and interiors, and Perspex windows, rather than glass. However, as Tickner struggled with the cost of regional manufacturing, many of these features slowly disappeared from the vans. This van is one of the last three Sunliners ever built. 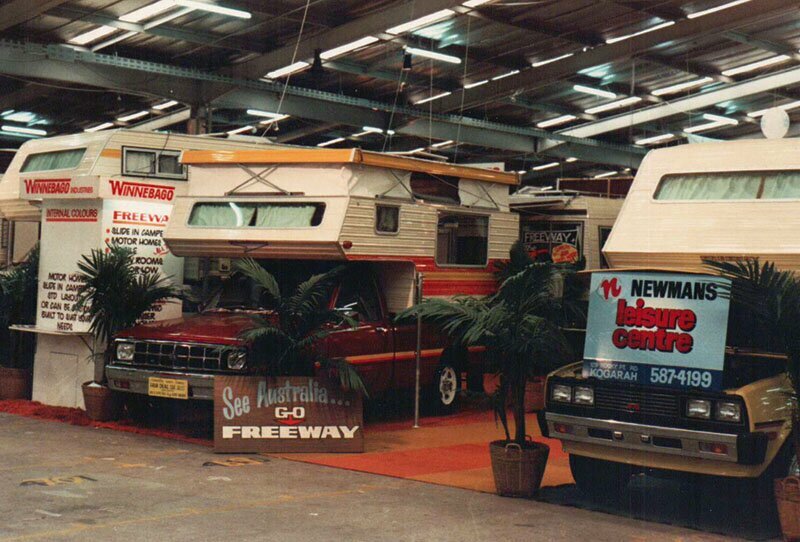 Bruce Binns is one of Australia’s longest serving caravan and RV builders, having established Freeway back in 1965. Over more than 50 years, and some significant setbacks, his company is still building caravans and motorhomes today, under the Avida monika. 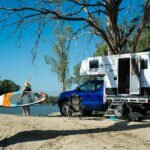 From his days building a single trayback camper and parking it out the front of his Hornsby factory until it was sold, Bruce’s company has battled through a bank foreclosure and legal challenges over the name Winnebago, yet despite that has always been a trendsetter in the Aussie RV game. This early Freeway, built on the back of an HQ Holden Kingswood, is a great example of how far the company, and the industry has come. 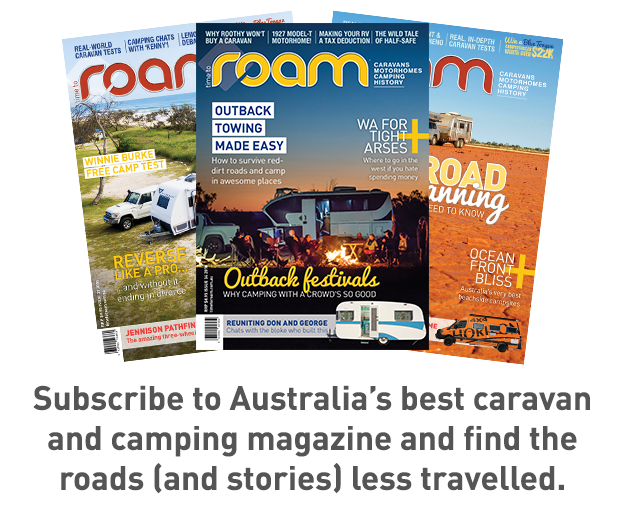 If Bruce Binns is the father of Aussie motorhoming, then Roger Fagan is the father of camper trailers. Responsible for the invention of soft-floor campers and the progression of hard-floor campers in Australia, arguably the company’s greatest success through the 60s and 70s came from the Cub Drifter, a lifting-roof camper trailer with an off-road focus that’s been responsible for many comfortable family laps of Australia. Amazingly, despite the fact it hasn’t been on sale for nearly 20 years, it’s still just as relevant today as it was in its heyday. 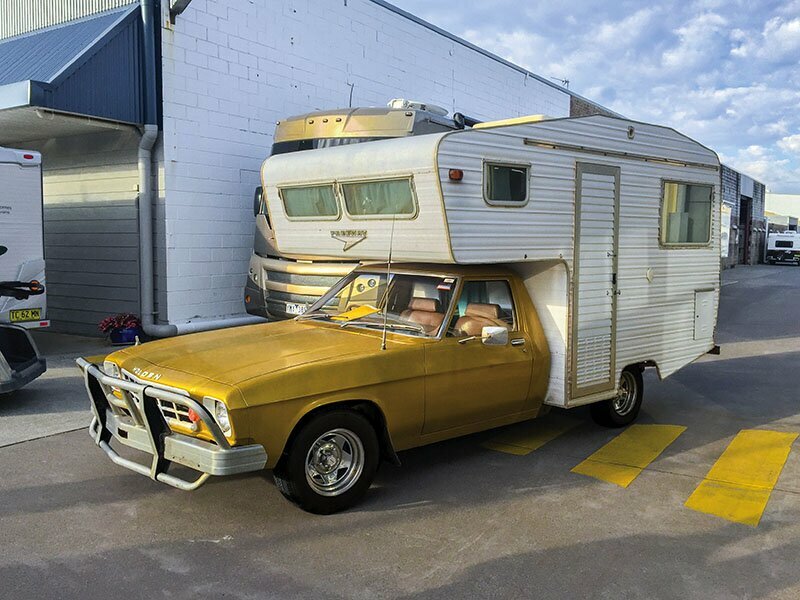 Also on display, although not pictures here, will be one of Jayco’s first camper trailers, a mint-condition Viscount Grand tourer and a history of caravanning in Australia through the ages. Come and say hello, or help us fill in some historical gaps.